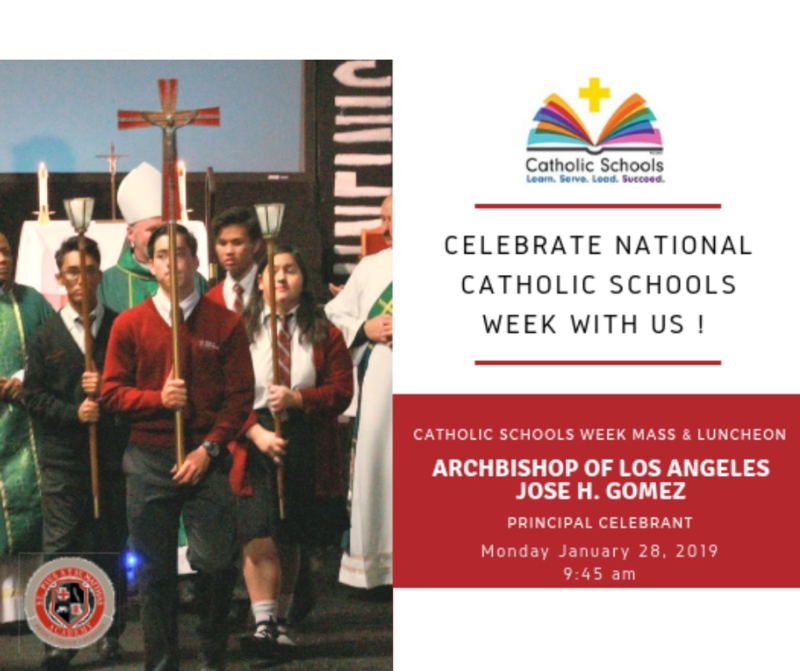 Since 1974, National Catholic Schools Week is the annual celebration of Catholic education in the United States. It starts the last Sunday in January and runs all week, which in 2019 is January 27 - February 2. 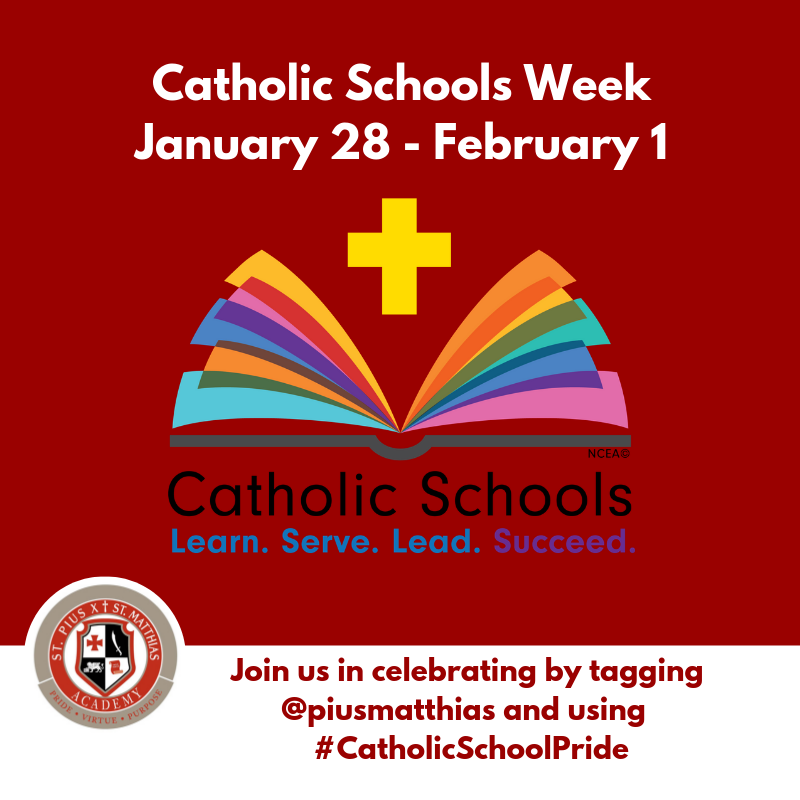 The theme for National Catholic Schools Week 2019 is “Catholic Schools: Learn. Serve. Lead. 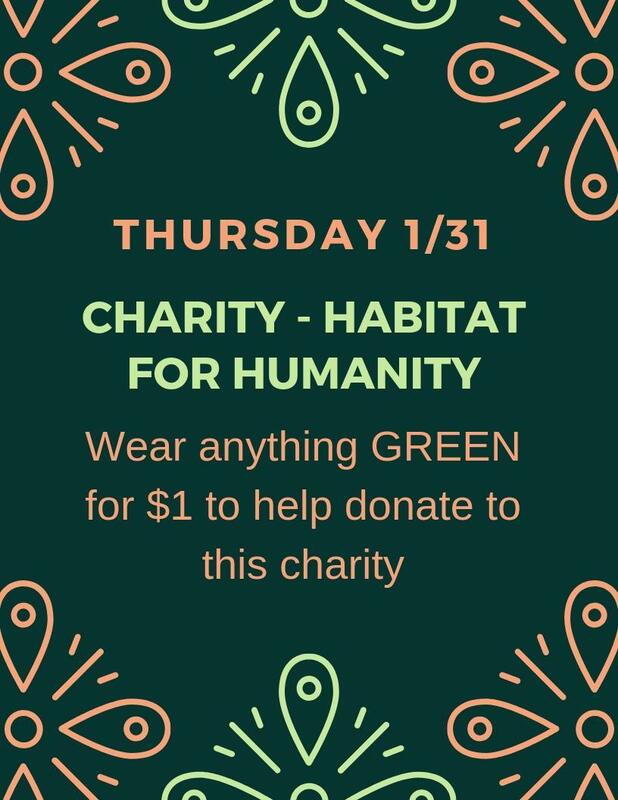 Succeed.” On Tuesday-Friday the student body will be asked to join us in supporting various organizations for $1 a day. 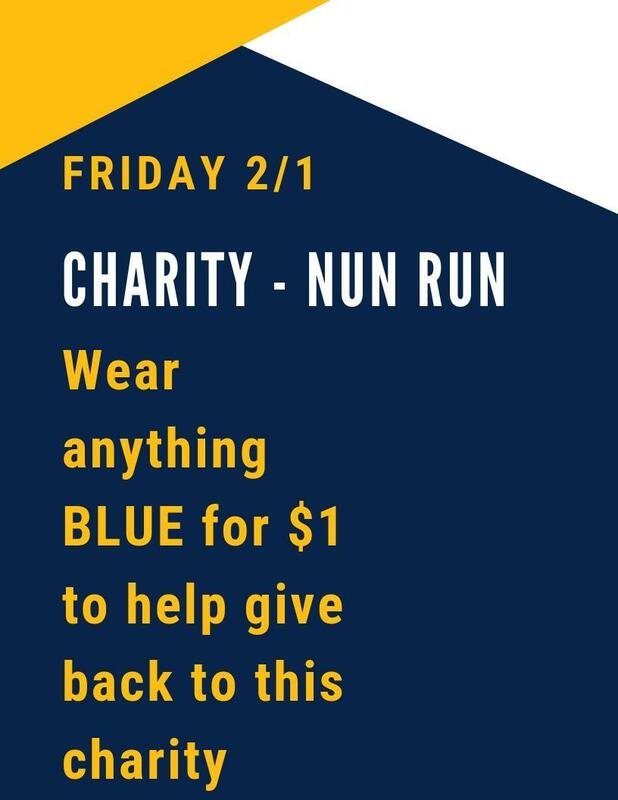 You can also find information about Catholic Schools Week on our website here. At St. Pius X - St. Matthias Academy, we seek to foster spiritual formation and growth in personal character. Our goal is to fully integrate religious education and spiritual formation into every aspect of the academic environment. Deeply grounded in the Roman Catholic tradition, Pius Matthias guides its students’ spiritual journey through prayer, a vibrant sacramental life, academic instruction in the faith, all-school liturgies, frequent retreats and regular opportunities for community service. Our two-fold aim is to support the family in its role as the primary religious educator of its children, and the parish as a dynamic wellspring of Catholic culture and life with the goal that each young person fully embrace his or her vocation in the Church. To that end, we encourage Pius Matthias students to participate in the communal, sacramental and apostolic life of their local parish. 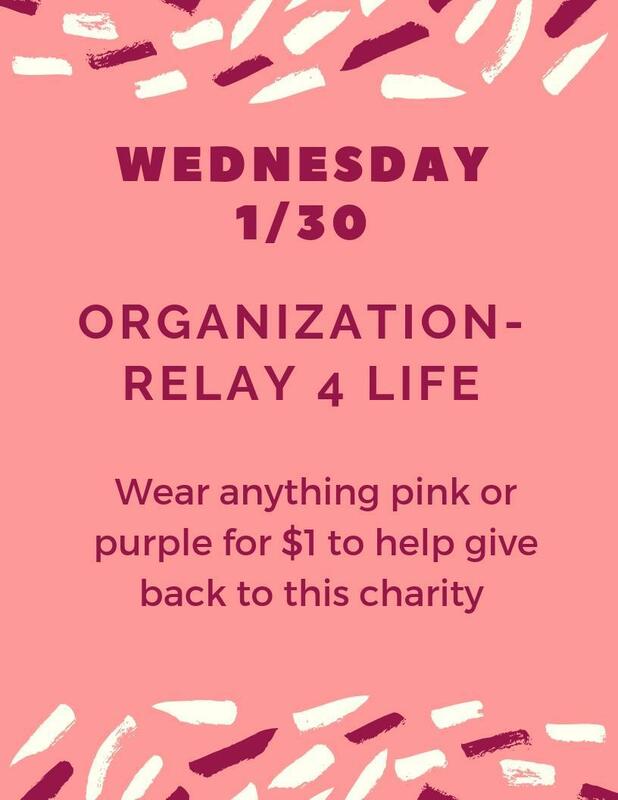 How to get involved? Contact Us.